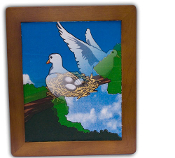 Show an elegant Framed Painting of a white dove and with no SWIFT or SUDDEN movements the dove flies right out of the frame leaving behind a nest with a few eggs!!!. The magician presents a hard cover book, opens the cover and flames erupt from the pages! The book is closed extinguishing the flames and when opened again, an item that could not possibly fit in the book, instantly appears! Check out the demo! 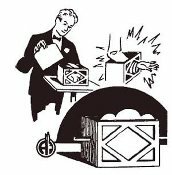 The magician places some paper into the pan. While looking for a lighter, the paper instantly catches fire. Putting the fire out with the lid the magician removes the lid to inspect the damage only to discover a dove inside! Bright Colors! Large load area! Easy to use! Perform Close-Up or Stage Do not be confused by any other make at any other price - there is no comparison. Morrissey Magic Last Chance Sale - As you may already know Morrissey is out of business and Abbotts is selling off its remaining inventory of these high quality products! 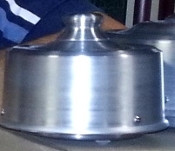 Smaller version of the dove pan, produce a small bird, baby chick,small cake, or dozens of silks and flowers. In a flash, the balloon VISUALLY changes into a REAL Bunny! The bunny is taken out of the cage. The cage can then be examined! An orange silk (or two orange silks) is placed inside an empty tube and immediately change into a gold fish (or two). 9.5" high. Also can be used as a regular crystal cylinder routine. 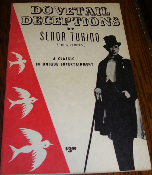 Dovetail deceptions by Senor Torino is one of the first books on performing dove magic routines ever written. A live dove or two are placed into the cage front and when the top of the cage is lifted, the sides all fall down and the doves visually transform into a rabbit. 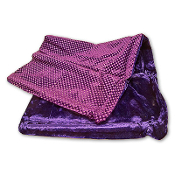 Completely safe for animal, easy to transport - Check out demo! 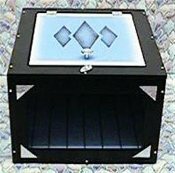 Professional magicians all over the world use this cage principal in their mega illusion shows. This is a fantastic illusion at a great price. 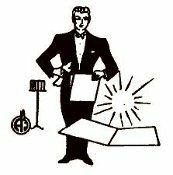 Magician shows a cloth banner and into the fold of it, he places a dove. Holding the two ends of the banner, he pulls them apart quickly and into the air flies a while silk! The dove has vanished! You use a finger flash or piece of flash paper to produce the animal. 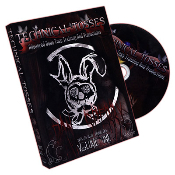 Livestock workers - this is the booklet you have been waiting for! Printed and published by Abbotts, the twenty-four illustrated pages detail practical magic with livestock A classic of magic that has been performed by David Copperfield, Tommy Wonder and Richiardi Jr among others. This routine has everything, vanishes, productions, transpositions, and a visual ending that you need to see to believe, check it out in the Demo! 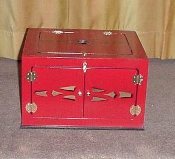 You can also use a box to produce a very large load of silks or flowers or other magician’s productions props. A truly visual miracle as you perform with the single skunk during your act as you would any other "spring" animal, but lo and behold, at any time during your act you split him into two skunks. 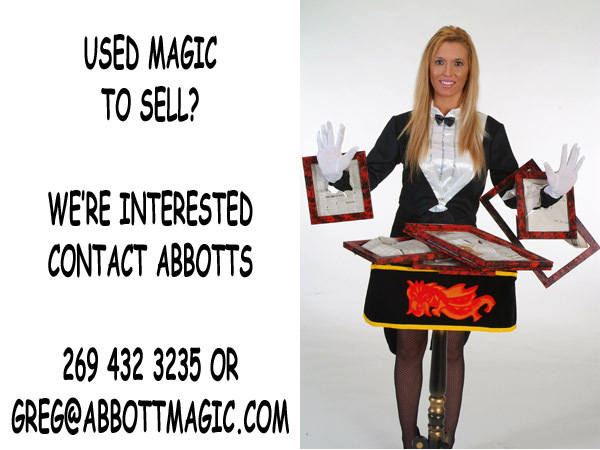 Great visual effect with the absolute highest quality props, made in the USA at Abbotts Magic. This is a strong mini illusion suitable for parlor/ platform/stage show. Tame and train your wild-out-of-control-screaming-biting parrot. Even if your bird is tame now, you can teach it amazing tricks within 15 minutes of watching this DVD! 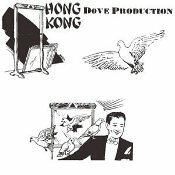 In this whimsical DVD the infamously mercurial Dan Sperry takes you backstage to learn the inner secrets of return flight dove training This trick has flash, surprise and mystery - and you can work it surrounded! Audiences want to see showy and spectacular effects--Den-O-Zen stands way out in front in this category. It is a feature mystery that has been used by top professionals around the world. Large version of the Elusive Bunny Box, this box Measures about 14 x 11 x 13.5 This effect can be a feature in your repertoire! It can be performed surrounded, no angles to worry about. Check out the demo by Marty Hahne, its one of our all time favorite demonstrations. Each fish is made from silk, perfect for any aerial fishing routine (a routine is included for you), check out the demonstration by Greg Bordner. This model is beautiful in appearance with a hard lacquer finish - artistically decorated. A Neil Foster Creation - Magicians produce and vanish doves but there aren't, ordinarily, very many other effects to do with the birds. "La Paloma" is the answer. This is not a guillotine or chopper type of effect - it is a penetration! Check out the Demo by Greg Bordner! Self-contained and can be done surrounded. Created by Paul Stadelman. A startling and perfect closing effect We send you a specially prepared, fine quality black felt top hat and the directions. You supply the bunny and you are all set to go. Check out the new demo by Greg! 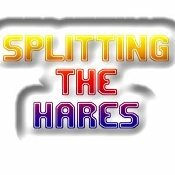 Magician produces a rabbit through his favorite method, then instantly splits the rabbit in two, now having two identical white rabbits. Here is a magical combination: A vanish - a change and a production! This box was designed to vanish a duck while surrounded by spectators. 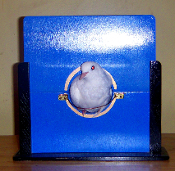 This box is designed to vanish several doves or a good-sized rabbit, while surrounded by spectators. 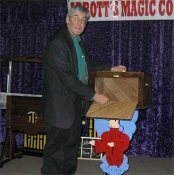 An empty circus cage box is displayed. A long balloon is placed in the box in clear view. 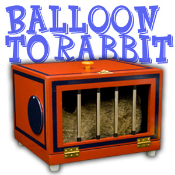 The magician says the magic words, the balloon pops, and INSTANTLY a rabbit appears inside! Folds flat for packing! 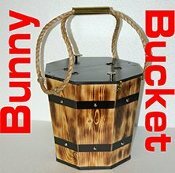 The picture of the rabbit has been replaced by a Live Rabbit One of the half lids is opened displaying the empty inside of the bucket. Out pops Mr. Rabbit or Mr. Rabbit and family. One of the finest books on dove work ever written. 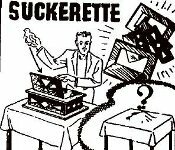 A collection of forty features, most of these tricks and routines from leading magicians. This can be performed surrounded and in your bathing suit! It's all in the boards!